Fresh mackerel is the most commonly used bait and will cover you for most situations when fishing around this area. Squid is a good supplement and frozen mackerel as a backup. Tope are partial to a whole head of mackerel. Wrasse can be tempted with ragworm. Lugworm is good for targeting smoothhound and bass. “From a needle to an anchor” Hardware & Marine Supplies has all you need to enjoy the coastline. 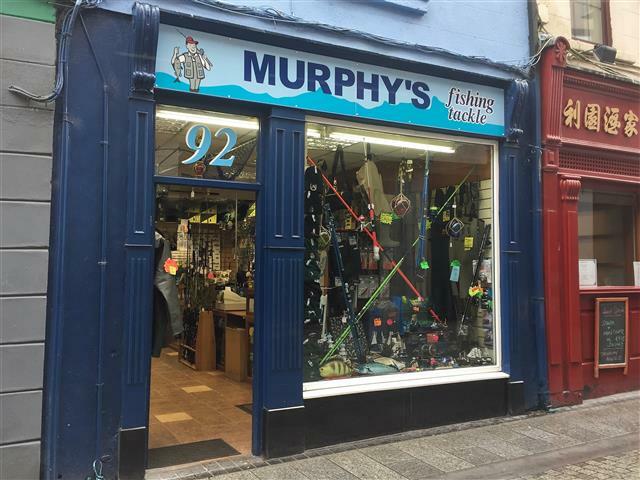 Whether you are setting out on an angling trip, heading to the beach, going camping or getting out on the water, make sure that you stop in and take a look at the large range in store. Experienced staff are on hand to share their knowledge & tips when it comes to all things DIY, Boating, Fishing & Angling. Keep an eye on their Facebook page for special offers and new products in stock. Stocks and facilities include: Chandlery, Angling supplies, Lifejacket Service Centre, Camping Gas & Supplies, Kayaks, Wetsuits, Walking Maps & Charts, Books, General DIY Hardware, Commercial Fishing, Agri & Industrial Supplies and so much more.